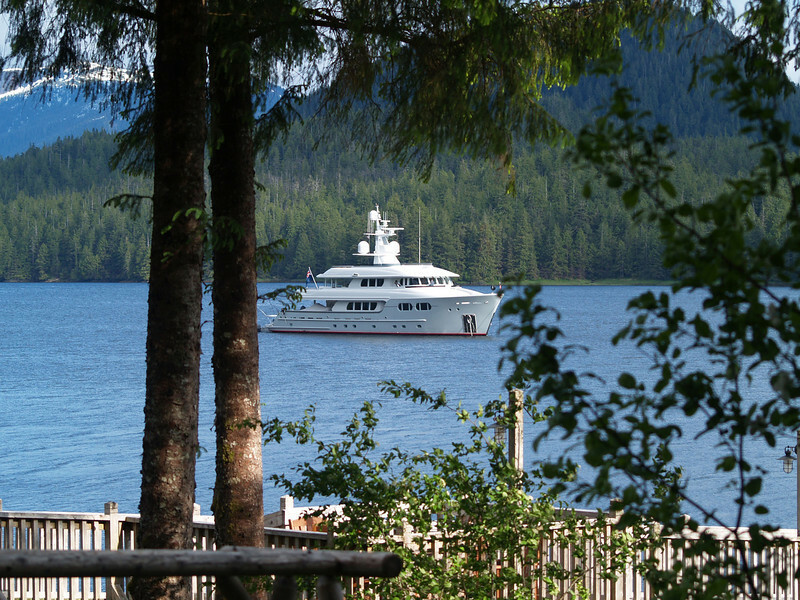 Fishing and scenic photos from the area around Yes Bay Lodge in Southeast Alaska. A yacht anchored in Yes Bay. Photo taken with an Olympus E-500 DSLR with a 45-150 Zoom Lens.